Supercraft > Supercraft > Showrooms Help With Decisions, Trust Us. Showrooms Help With Decisions, Trust Us. Browsing online and leafing through brochures is great for allowing you time to think through prospective home improvement ideas and solutions. However, when it comes to making the final cut, you’re not going to succeed in being sure you’ve made the right decision for you without having visited a showroom. In a showroom you’ll get a real sense of your potential home improvement – you can’t replicate this feeling in a brochure. By visiting a show room you can test windows and doors and their locking mechanisms. You can sit in a full sized decorated conservatory or orangerie and get a true feel for the finished product. You can truly understand and comprehend the differences between different options and compare them side by side, with real practical demonstrations from experts. We are so convinced that visiting a showroom is the most sensible way of making your final decision on your home improvement that you won’t find a better price anywhere else – a visit to our showroom will bring you the most affordable Supercraft option. 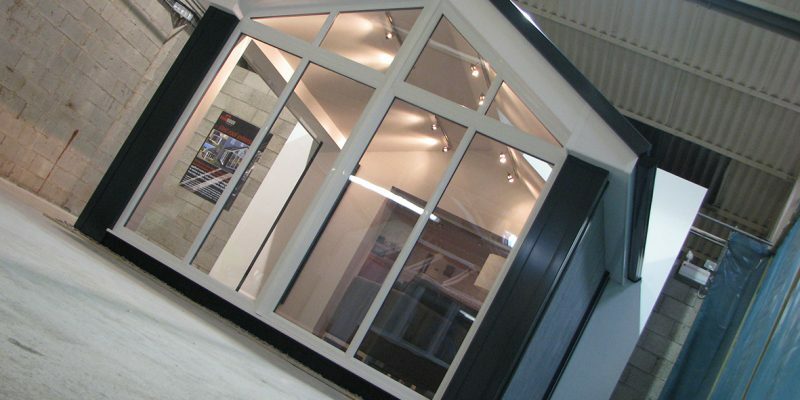 Visit our Stoke-on-Trent showroom. Either simply turn up or give us a call to make an appointment on 01782 266488.